Most icemakers are controlled by a simple wire feeler arm that hangs off the side of the icemaker. As the ice bucket fills up, it raises the feeler arm and eventually stops it from making any more ice so it doesn’t overfill the bucket. But the engineers at Whirlpool were told that they needed to increase the usable space inside the freezer compartment without increasing the size of the compartment itself. To do this, they figgered they needed to re-design the icemaker, ice container system and freezer shelving. This needed what we professional appliantologists call Divine Intervention®. 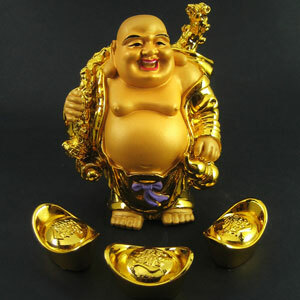 So the engineers burned some funny incense and chanted “OM” to the pot-bellied, bald-headed, golden Buddha. And, yea verily, the pot-bellied, bald-headed, golden Buddha did grin down upon them and granted them a miraculous vision of the electronified optical control icemaker system! In this divinely-revealed icemaker control system, the mechanical feeler arm is replaced with the new optical controls, located on either side of the freezer liner, as shown below. The optics use infrared light to sense the ice level in the ice bucket. The other change they made was to move the ice bucket from inside the freezer space to the freezer door. These changes increased the available usable space inside the freezer by over 50,000%! And the pot-bellied, bald-headed, golden Buddha did grin and the engineers did feast on fruit bats and breakfast cereals. The main thing to keep in mind about this optical control system is that the only thing it really does is to shut off the icemaker. Other than that, it doesn’t affect the operation of the icemaker. There’s nothing new or special about the icemaker itself– it works the same way as the good ol’ Whirlpool-built modular icemaker that we’ve all come to know and love. So, for example, you can still manually start the harvest cycle the same way you would for any other Whirlpool-built modular icemaker with the feeler arm. 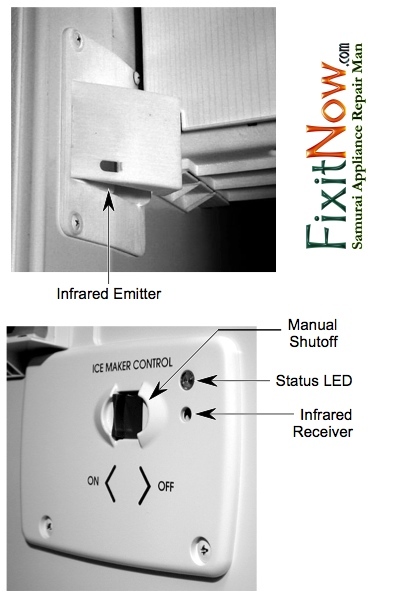 So that just leaves the optical control itself as something you may need to troubleshoot if you’re having problems with the icemaker not making ice… and that’s ezzacly what this spiffy troubleshooting flow chart will hepya do. This entry was posted in Ice Maker Repair, Refrigerator Repair on June 29, 2010 by Samurai Appliance Repair Man.